ESG (Environmental, Social, Governance) has sparked a lot of interest with investors and financial markets in the past year or two, though it has been around since at least 2006 with the publication of “Who Cares Wins” by the International Finance Corporation. Ten years ago, even the most socially conscious values investors hesitated to jump on the ESG bandwagon, but times have changed. But what exactly is ESG investing, and why the new enthusiasm? ESG means using certain criteria (environmental, social, and governance) as key, foundational screens for determining what types of stocks, bonds, and funds in which to invest. Investors have been avoiding corporations they don’t support for a long time (think tobacco and firearms), which is sometimes referred to as socially responsible investing or SRI. But ESG takes a more positive step. These are broad factors considered when investors want to make sure the companies in their portfolio are upholding their values. As the ESG acronym implies, this means looking at companies that (1) are best in class as stewards of the natural environment; (2) promote social justice with their employees, customers, and communities; and (3) govern the company in a responsible and ethical way. If these factors sound a bit “fuzzy” to measure, you’re not alone in your thinking. Measuring these factors is one of the reasons ESG investing took a little while to gather its stride. That, plus the fact that traditional investors believed their fiduciary duty was always, and ONLY, toward the single bottom line: shareholder profit. But times are changing. New technology and data tools allow better discloser on ESG issues, and corporations are becoming more transparent. They recognize that the tide is turning. Meanwhile, society has become more tuned into the importance of ESG factors as part of the big picture, financial included. Corporations that avoid controversial labor or environmental practices tend to have fewer legal entanglements that drop the bottom line. Good corporate practices often translate as good financial outcomes. Today, ESG investing is no longer a fringe position. By some estimates ESG represents more than $20 trillion in AUM and is growing. 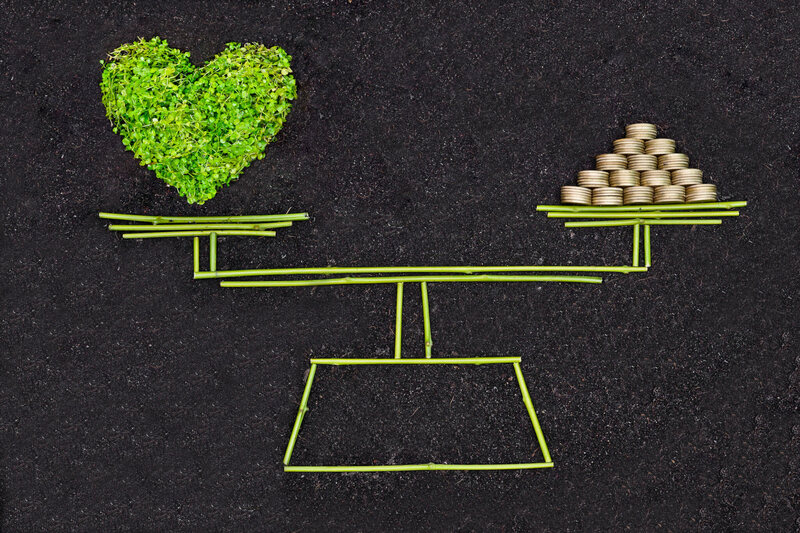 People see that it is not only possible to support a triple bottom line: planet, people, and profit; ESG investing can be an avenue for using money to make the world a better place.